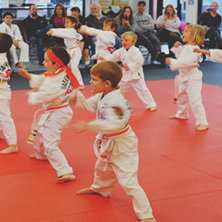 We’re going to be honest — while we advocate all day the various benefits of little children enrolling in martial arts, the truth is that a large percentage of them don’t stick with it long-term. This is due to many different reasons depending on the child. Maybe they grow out of it. Maybe it wasn’t their thing. Perhaps they move away, or the family runs into a tight financial situation. 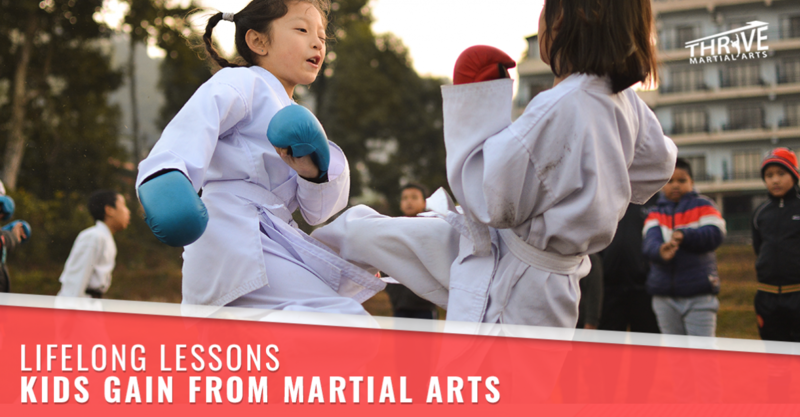 But know this — even if a child or teenager doesn’t stick with martial arts for years and years, that doesn’t mean the whole experience was pointless. Far from it, actually! While we actively encourage children to stay in the program as long as possible, sometimes it’s just not in the stars, but if this is one of your fears, don’t worry! Here are some of the things a child or teenager gains in the long-term by signing up for karate or taekwondo, even if it doesn’t end up being a permanent arrangement. Is it realistic to expect that your child will be leaping about and taking down hordes of baddies like Jackie Chan in the future? Probably not, even with a black belt, and it’s even less probable if they quit martial arts before that point. However, even if a child only sticks with Taekwondo for a temporary period of time, they will learn valuable lessons that could come in handy should they ever need to defend themselves. Hopefully, a situation won’t ever come to pass which forces them to resort to fighting, but if such a thing happens, it’s better to have some taekwondo training instead of none. For a simple example, consider how one normally fights in an undisciplined brawl — most people resort to pushing, grabbing, and punching, giving little mind to their footwork or timing. 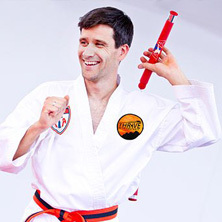 With even just a little bit of time in our martial arts school, you’ll learn the importance of blocking blows, punching with proper technique, and, of course, getting judicious use out of your legs by maintaining a solid stance and implementing kicks. These are small little things that the average person isn’t thinking about, and even if it’s just a foggy memory, they can come in very handy in a situation where self-defense is necessary. No child is born out of the womb knowing exactly what they want to do with their lives. It’s a gradual process of trying new things, learning, finding out what they like, dislike, and then sticking with those things and building a future from them. That’s why you have everything to gain and nothing to lose by exposing your child to various extracurricular activities when they’re young. Whether it’s learning martial arts at our Fort Collins taekwondo dojo, enrolling in baseball, joining a Chess club, or taking up the saxophone, investing in new skills is great the development of children and teenagers. It Teaches Them How to Spend Their Time Productively: Digital screen addiction is more prevalent now than it ever has been, and unfortunately, it can wreak havoc on the minds of small children, which are still developing. In this crucial period of growth, it’s good to get them away from the screens and help them to learn at a young age how to create a habit out of using their spare time for things that are less addictive, but far more rewarding. This skill, if learned young, will be a boon to them for their entire life. It Helps Them to Know What They Like and Dislike: Every young mind is predisposed to liking certain activities more than others, and sometimes the only way to know is to expose them to things. Some children pick up music like they were born to do it, some are natural athletes who take well to every kind of sport, and others still may find incredible enjoyment in drawing and painting. If you sign your child up for taekwondo, it could go either way. But even if they don’t end up enjoying it, you now know them a little better, and they learn something important too. It Teaches Them How to Learn: When a child is engaged in a program outside of school, it can help them to “learn how to learn.” Unfortunately, one side effect of our educational system is that many students begin to associate school with work, and instead of becoming an instructional experience they want to engage in, it turns into an obligatory chore, and they end up resisting the lessons, sometimes subconsciously. With out-of-school activities, that stigma isn’t there, and they might just find themselves more engaged, which could, in fact, help them later in their school years. In anyone’s life, authority figures are a constant staple. There are very few people in this world (if any at all) who are not beholden to some kind of authority figure or leader in their lives, and as an adult reading this, you’ve probably learned by now that life is generally easier when you know how to interact with authority. Martial arts is a discipline that demands respect from its students. Most martial arts forms have deep roots in ancient eastern philosophies, such as Taekwondo’s Korean origins. Self-discipline, respect, honor, and personal mastery are common themes, and they’re an integral part of our school. Students are to show respect towards their leaders at Thrive Martial Arts, and learning this skill at a young age will be beneficial in all walks of life. Don’t worry — while this kind of respect is demanded in our classes, we also know that every child responds differently to certain styles of leadership, and we make sure that nobody is having a bad experience at the end of the day. We motivate our students with positive encouragement and build them up instead of being harsh and strict. Cooperating with authority figures, respecting them, and not lashing out at them are all skills that are handy later in life, particularly in academic and professional settings. We will all deal great leaders and terrible leaders at some point in life, but being tactful is always a useful talent, no matter who they are. 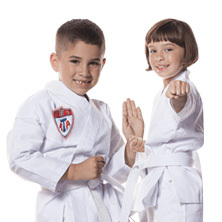 Some people don’t see a point in signing up their children for taekwondo, because they have reason to believe that they won’t stick with it for the long haul. 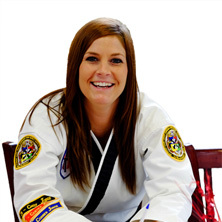 “If they won’t reach black belt, then what’s the point?” In reality, there are many advantages that come from practicing taekwondo and martial arts, even if it’s not a program you stick with for years and years. We invite you to give it a shot and sign up your child or teenager for our trial program! Whether it’s a “tiny tiger” who has yet to start grade school, a little ten-year-old, or a teenager, there are lessons that will stick with them for years to come — even if they don’t realize it. Sign up for our trial program at Thrive Martial Arts today, and be sure to contact us if you have any questions! Whether you come to our Fort Collins location or our dojo in Windsor, we’ll be happy to start them on the path of martial arts. And who knows — they may just end up loving it!